I work per diem (as needed) at an urgent care. I do a lot of DOT (Department of Transportation) physicals. While many drivers can only get a one year certificate, occasionally I have to deny certification. This means the driver loses his ability to earn a living as a truck/van driver until his health issue is resolved. This is instant no income. I am a Family Nurse Practitioner certified by the Board of Medical Examiners to perform DOT physicals. This means it is my responsibility to make sure the drivers, that I see, are physically capable of being safe on the road. Transportation workers have the highest rate of chronic illness than any other profession. Why? Because their jobs are sedentary and they eat on the run. They claim not enough time to exercise and healthy food is not available to them at truck stops. Deadlines are all important to keep their jobs. I had to tell a trucker that he was diabetic today. He said it wasn’t possible because he doesn’t take any diabetic medicine. There are 30.3 million diabetics in the USA. That is 9.4% of the population (roughly 1 of every 10 people). There are 7.2 million diabetics who have no clue that they are diabetic. How do they find out? Well, some end up in the doctor’s office or hospital with cellulitis (usually a serious infection in the lower legs), some have unintentional weight loss, some are diagnosed at annual exams and some find out like this person did, at their DOT physical. This is from the CDC. How I diagnosed it. There was sugar in the urine specimen making necessary a blood sugar test. The random (not fasting) blood sugar was over 200. 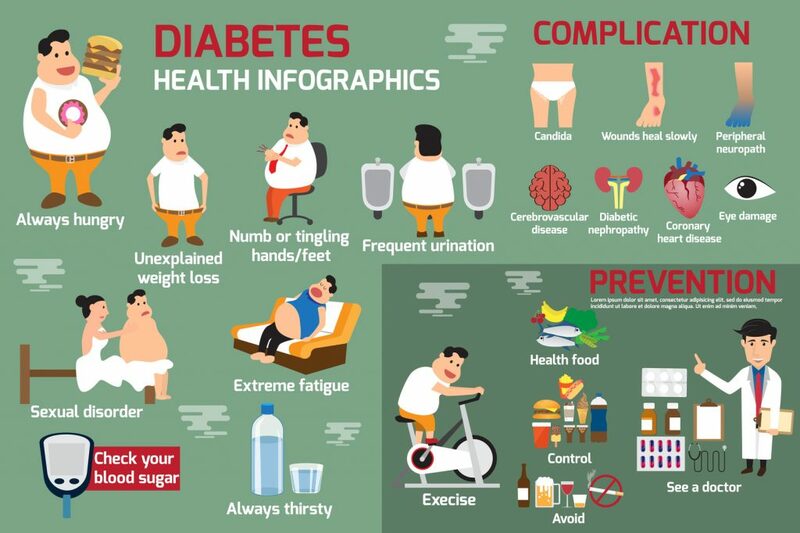 This is diagnostic of Diabetes. To be fair, this person had a big sugar load for breakfast. A nondiabetic should have handled that without a blood sugar elevation. An A1C ( a test to show average blood sugars over a three month period) was unaffordable. I told him to come back in a day or two without eating a sugar load first. He will still be diabetic but he will have time to “digest” his diagnosis. This person is losing his income, for a while. How long will depend on how long it takes to get his blood sugar down to the acceptable range. He didn’t need to become diabetic. He had a choice. He has the genetics and other, in house, family members are diabetic. He can choose not to be diabetic. A lady that I saw later in the day was proof of this. She was told either she loses weight or her diabetes would eventually progress to include loss of vision. She lives alone. She lost weight and is no longer diabetic. She made a choice. Diabetes, hypertension, high cholesterol, obesity and many others are preventable or reversible chronic illnesses. Sure, there is a rare case that is not “fixable” but that is a very small percentage of the time. For truckers, truck stops don’t put their healthy food choices where they can be seen. The choices are there though. Some trucks stops now have workout rooms and many have walking paths. Some truckers pack their own food. Some long-distance truckers have a George Forman Grill and a refrigeration unit so they can have healthy food choices. Loss of a CDL is a loss of income until health is reestablished. Eventually, if not reversed, chronic illness will result in a permanent revocation of the CDL. The choice is to either take time to be healthy now or save your money because you will be taking the time to be sick. For more information regarding preventing and reversing chronic illness, drop me a line at theresalohman00@gmail.com.